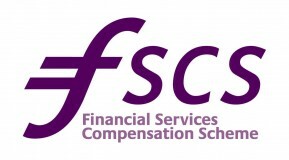 From 1st January 2016, the level of protection provided by under the Financial Services Compensation Scheme (FSCS) will be cut from £85,000 to £75,000 to come into line with the EU’s €100,000 compensation limit. As the value of the pound has strengthened against the euro, the Prudential Regulation Authority (PRA) who review the state of the exchange rate every 5 years, have noted the shift and so the new £75,000 limit will come in to line with the compensation available throughout the EU. It’s important to remember that the current £85,000, and future £75,000, limit are per banking group and not per bank account or institution. The limit per joint account currently stands at £170,000 however, this will drop to £150,000 from January 2016. The Financial Services Compensation Scheme have stated that at least 95% of all consumers will still be adequately protected as the majority of people have less than £50,000 in savings. If you’re looking for advice on your savings and/or investments or if you’d like to make an appointment to talk to an Adviser, simply complete the form below and we will be in touch as soon as possible.